Suffused Music began its journey in March of 2013. Launched with the release of LoQuai's 'Proteus' EP the Lithuanian imprint immediately made its mark in the electronic music underground. The next two years saw the label invite over 100 artists to take part in its global progressive movement. In addition to showcasing fresh talent Suffused also featured music from scene veterans East Cafe, Michael and Levan and Stiven Rivic, Progress Inn and Rick Pier O'Neil. Digital labels come and go on a daily basis and Suffused Music has stood the tough test of its early years. The Lithuanian imprint now embarks on a momentous occasion, it's 100th release. Looking back over its expansive catalog there are a wealth of musical gems which have touched the hearts of electronic music lovers. To celebrate this noteworthy occasion the label has called upon an extraordinary list of artists to revamp 10 special selections from their discography. 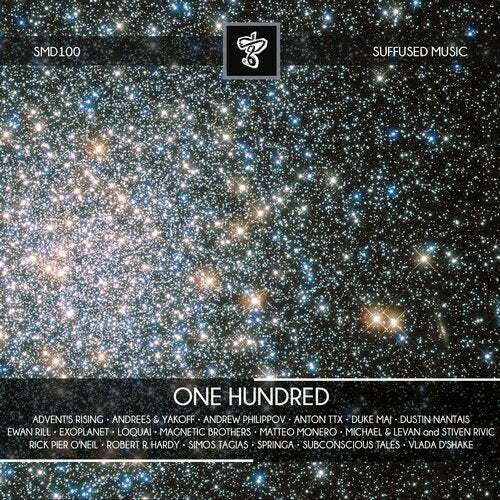 Exoplanet, Ewan Rill, Magnetic Brothers, Simos Tagias, Vlada D'Shake, Rick Pier O'Neil, Dustin Nantais, Matteo Monero, LoQuai and Springa have delivered some of their career best work and have collectively made Suffused Music's 100th release one to remember.